I apologise for the influx of reviews lately, I am trying to squeeze some exciting content in before LifeThroughTSG gets all festive for blogmas! 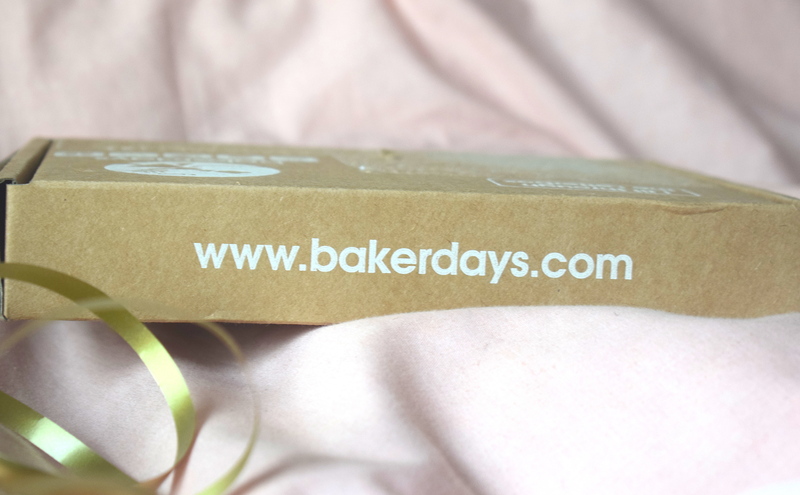 Anyway, today my blogging dreams came true because….. *drumroll*…..
bakerdays agreed to send me a personalised cake, in exchange for this review! YES PEOPLE, I got cake in exchange for blogging. BEST. DAY. EVER. If you follow me on socials, you may know that it was my friend Charlotte’s birthday last week. So, when bakerdays asked if I’d like to try a cake, I thought why not dedicate it to her?! 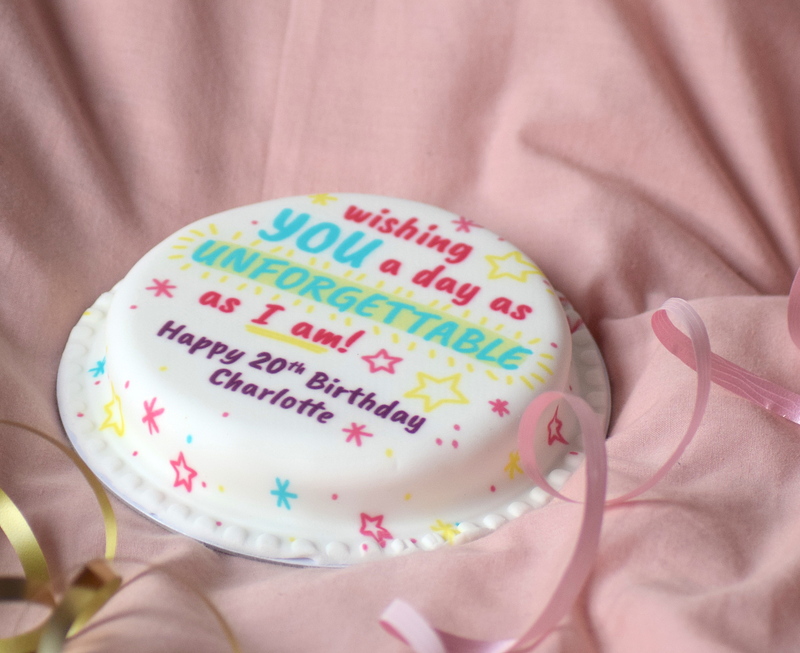 My instructions to the lovely Emma at bakerdays were to make it for Charlotte’s 20th birthday, but that she could be as cheeky as she liked, as she offered to make me a custom design! bakerdays do have a fab range of designs already on their website which you can personalise, but they also have a photo upload option if you’re looking for something really unique. So, let’s see what she came up with…. Cute, right?! To be honest, I think this cake just sums up our friendship perfectly- haha! Letterbox cakes really are just that. They’re made specifically to fit through the letter box, so they’re perfect for those last minute occasions when you accidentally forget someone’s birthday (oops). They’re also perfect for long distance friendships/relationships.. not seeing them on their birthday? Send them cake! (I know I’d really appreciate that anyway). The cake arrives in this cute little tin, which I am definitely going to keep. I don’t know what I’m going to put in it yet, but I feel like it’s definitely going to come in handy for cake storage! 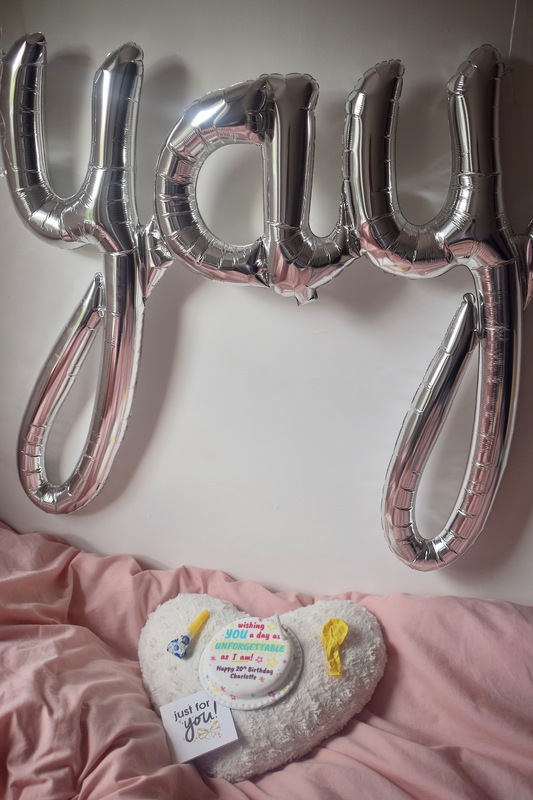 It also comes with a little birthday pack including a few balloons, some candles and a party tooter- perfect for a little birthday celebration! I absolutely just adore this cake from baker days, and it tastes fab too! I’d definitely recommend them if you’re looking to send someone a cake or even just get someone a really nice, personalised cake. As well as the letter box size (£14.99), they also have small party cakes (£27.99), medium cakes (£37.99), and large cakes (£57.99). Flavours range from traditional sponge, to chocolate chip, even to marble cake for any occasion, such as Christmas, holy communion, birthdays, eid, halloween, engagement, new home AND MORE. And, bakerdays don’t just stop at cakes! 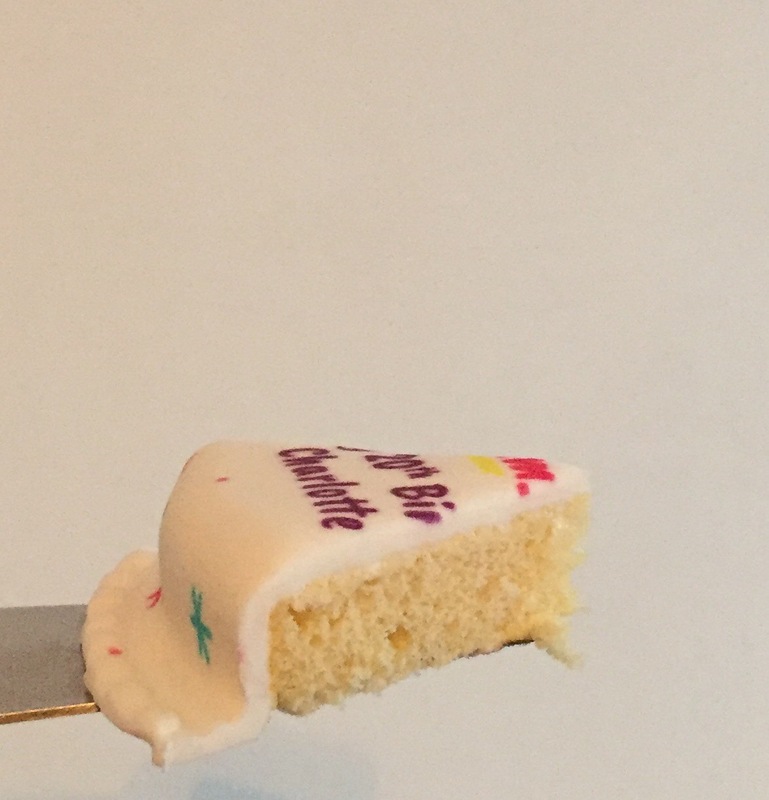 They also sell personalised cup cakes, which are really adorable, and they sell personalised balloons. AND they do dairy-free, gluten-free and wheat-free options, how amazing! Essentially, they’re your one-stop-shop for the perfect celebration, for any event! Now for the MOST exciting part…. The lovely people over at bakerdays have also agreed to run a giveaway with me. 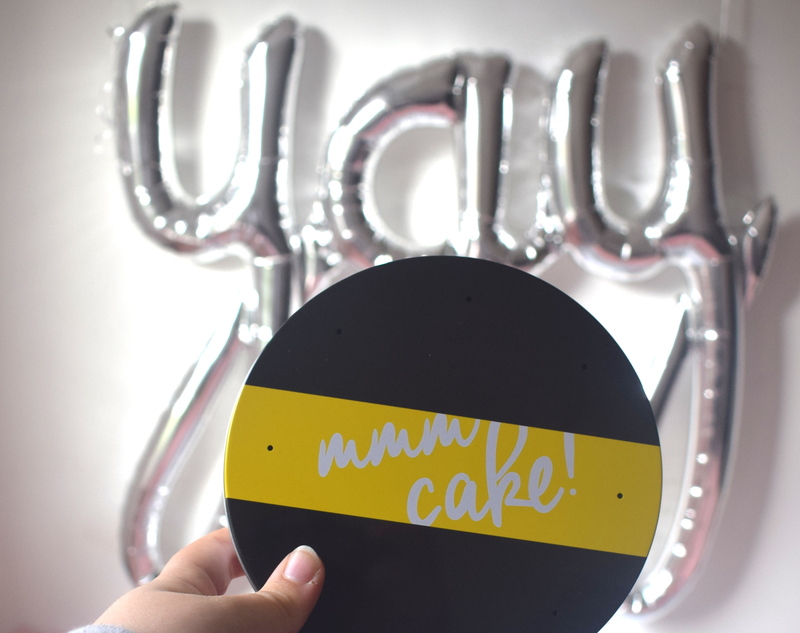 Yes, that’s right, you could win your very own FREE PERSONALISED CAKE! Then, maybe it will be your best day ever! I’m running this giveaway over on my Instagram and twitter, so head to either of those if you’d like to be in with a chance of winning. You can enter on both Instagram and twitter, but only once on each platform. You must be following me on the social platform for entry to count. You must reply within 24 hours of me reaching out to you to inform you of your win. If you do not reply within 24 hours, another winner will be drawn. Giveaway begins at 5pm on 22nd November 2017, and ends on 6th December at 5pm. And that’s the serious bit done! So, if you’d like to win a beautiful, personalised letter box cake, please do enter! *Product sent in exchange for review. For more information, please see my Disclaimer. I think getting cake in the mail would be the best day ever! What a brilliant idea! Great post! I love the tin, it’s so cute, it reminds me of a record! That sponge and icing looks divine! These cakes would definitely make a nice treat or birthday present for a friend! I love the way you can get personalised messages on them and the fact that they do balloons and cupcakes! Sounds like a great company! I absolutely LOVE this idea! I really enjoy baking cakes for my friends on their birthdays but if you have a friend who you don’t see that often who lives very far away, it’s wonderful that you can send them a cake so that they don’t miss out! 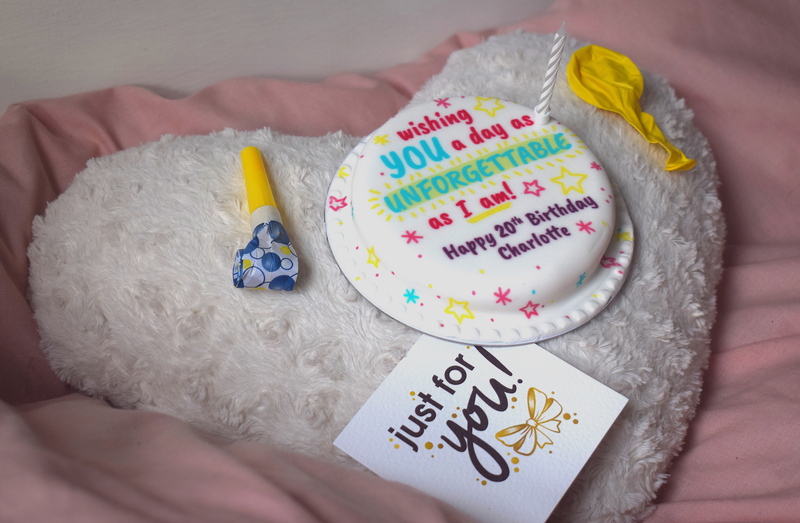 I love the cheeky design for Charlotte, it’s lovely that they captured your friendship so well! I am craving cake now!! Hahhaa love the personalised design you created! Nothing beats a personalised gift, especially if it’s cake!! We love bakerdays and their concept!